Can you believe it, this is my 500th post on New Girl in Toon? Where on earth has the time gone? 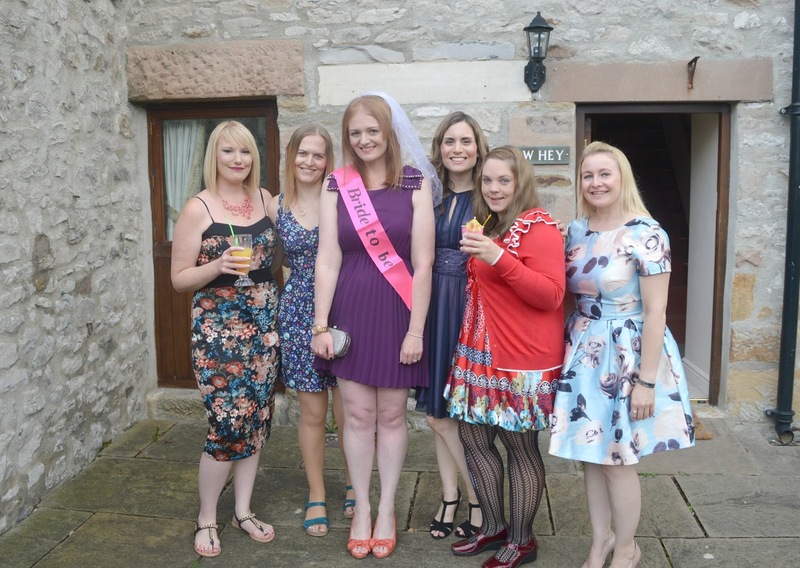 What better way to mark the occasion than by telling you all about my epic Hen Weekend adventure. Anyone else think that I'm a very spoilt hen? 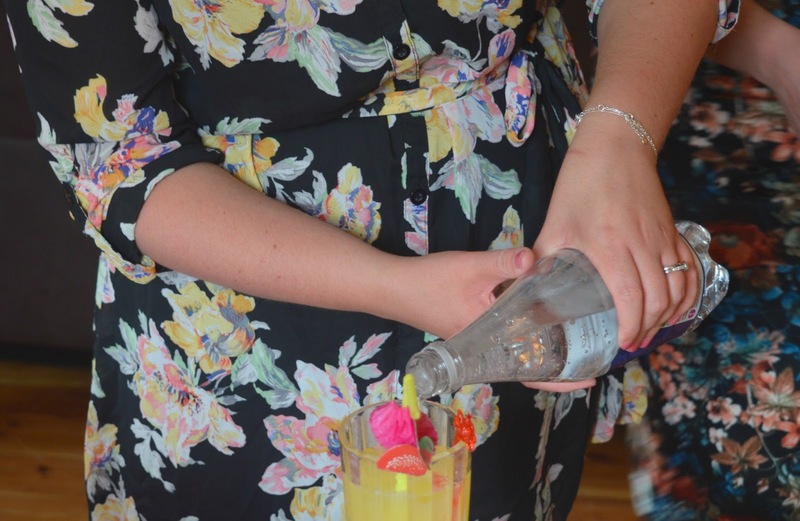 You may have already read about my mini hen in York and my Geordie night out but my Hen Weekend was the celebration that had my tummy full of butterflies. Spending a whole weekend in a mystery location with my closest and oldest friends, I was literally counting down the months. Being a natural organiser I spend my life planning fun day trips and adventures and it's not often that the reigns are taken out of my hands and something is organised for me so I was buzzing when my sister Lydia agreed to organise me a huge weekend surprise to celebrate my last weeks of being a singleton. I decided I didn't want to know a thing and so woke up the morning of my Hen with absolutely no clue of whether I'd be travelling north or south and what to expect. Friday morning I was handed an envelope from Simon that finally revealed I was off to Chesterfield for a Hen Weekend in the Peak District! I was absolutely thrilled by my mystery location as I'd always wanted to go to the Peaks and had no idea it was so easy to reach from Newcastle. 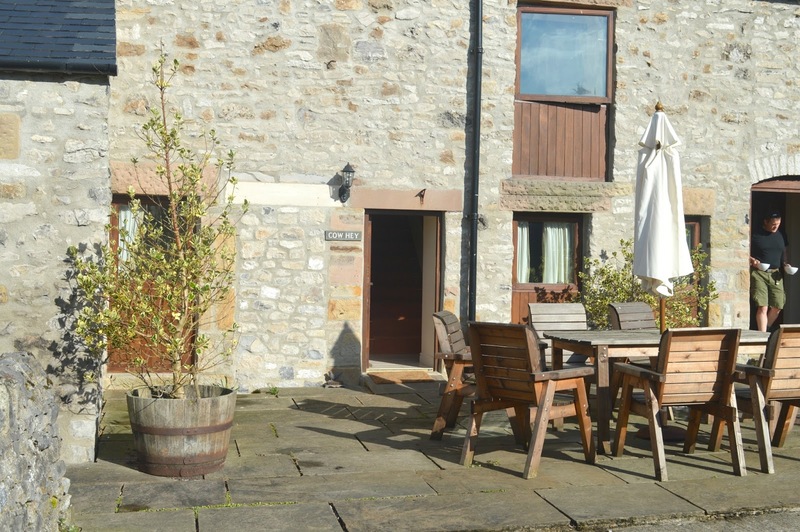 Just over 2 hours on the train and I was met at Chesterfield Station by my very enthusiastic sister who had a sash and veil all ready for me as she bundled me into a car and drove me to our home for the weekend, the beautiful Cow Hey in Little Longstone. I was giggling to myself as I explored our cottage which had been decorated with posters of my favourite boybands from the 90s and a few comedy photos of Simon thrown in for good measure. My sister had a great time raiding his Facebook page for the most ridiculous photos that she could find. I finally found my friends, hiding in the kitchen and dressed as pop stars from the 90s. It's not often you find yourself in the company of a member of B*Witched, Posh Spice, Whigfield, Stephen Gateley and a member of All Saints. Knowing I wouldn't get away with staying in my normal clothes I suddenly realised why I'd been asked to pack a tartan skirt. I was being dressed as Britney Spears in the "Baby One More Time" video, complete with knee high socks and a blonde wig. If I thought I looked ridiculous I needn't have worried as a few moments later my sister re-appeared dressed as Peter Andre. Her outfit was absolutely amazing. We spent the evening drinking Prosecco, tucking into a huge buffet, listening to 90s pop tunes (and being amazed that we remembered all the words to Shampoo "Trouble") and playing silly games, including my friends having to draw my wedding dress with their eyes shut (hilarious). It was a real surprise when the night ended with Simon popping up on the screen to play Mr and Mrs. Our answers matched almost perfectly which was very reassuring! I had said that I didn't want any organised hen type activities during my weekend so instead my sister just planned things she knew that I would really love. So our Saturday morning started with a nice 7k walk in the Derbyshire countryside. There's nothing I love more than exploring a new area and going for a long walk in the fresh air, it's something I wish I got to do more. Lydia had managed to find us a beautiful route with easy to follow instructions to ensure that we didn't get lost and with plenty of opportunities for me to be able to take photographs. 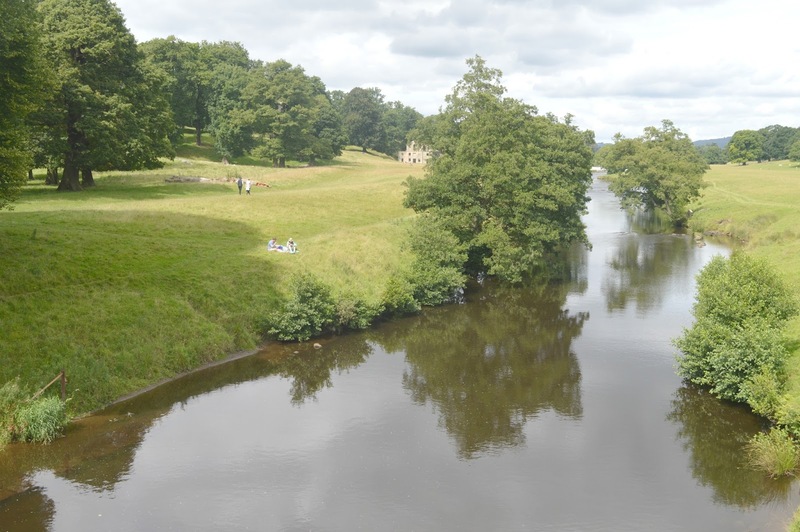 Knowing that I'd probably love seeing Chatsworth House she found a route with perfect views of the house and surrounding countryside. 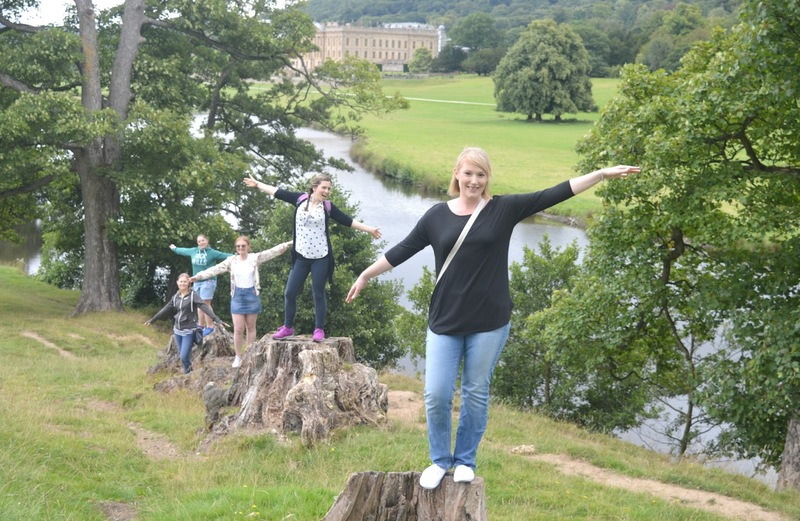 She got it completely right as the moment I'd found out we were visiting the Peak District I'd been hoping that we'd get to see Chatsworth House as I'd always wanted to go. 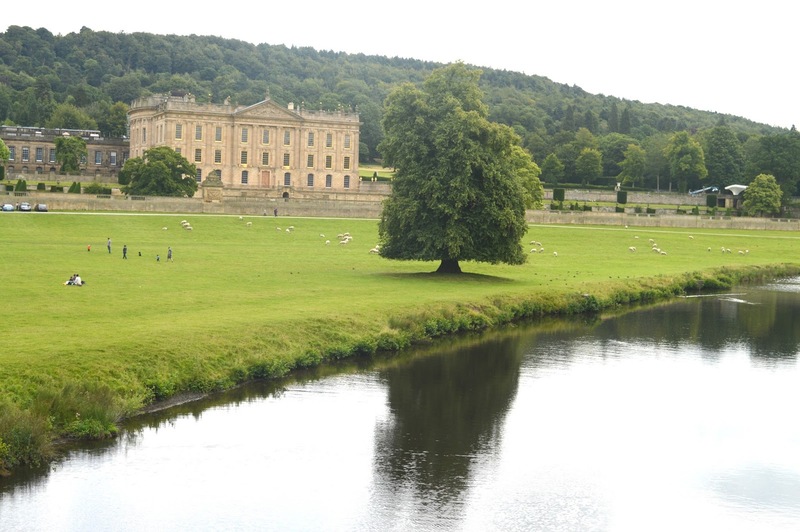 You probably know that Chatsworth House is one of the most beautiful and famous stately homes in the UK and has been used a lot in the TV and film industry, most notably the BBC adaptation of Pride & Prejudice starring Colin Firth. As the Bride to Be no one minded that I spent a silly amount of time taking photographs and my sister started calling them my "Blops" aka Blogging Opportunity Stops. It made me laugh so much and I'm definitely adding "Blop" to my dictionary. 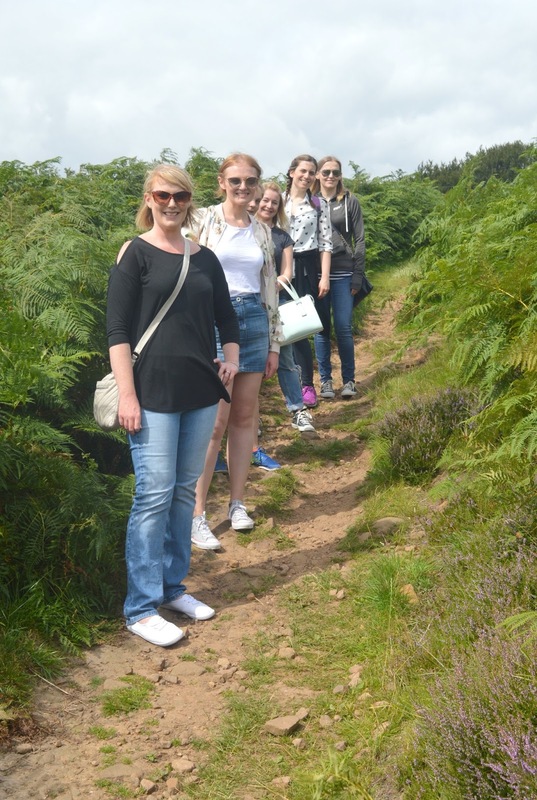 Our walk took us up hills, across steams, over stiles and down a particularly itchy bracken covered path that made us all worry that we were perhaps going the wrong way. We were completely exhausted by the end with pretty achey legs, but we loved comparing our fitness watches to see how many steps we'd done and how much of our buffet we'd burnt off. Luckily the plans for the rest of the day involved sitting about eating cake, which we all know is my idea of heaven. 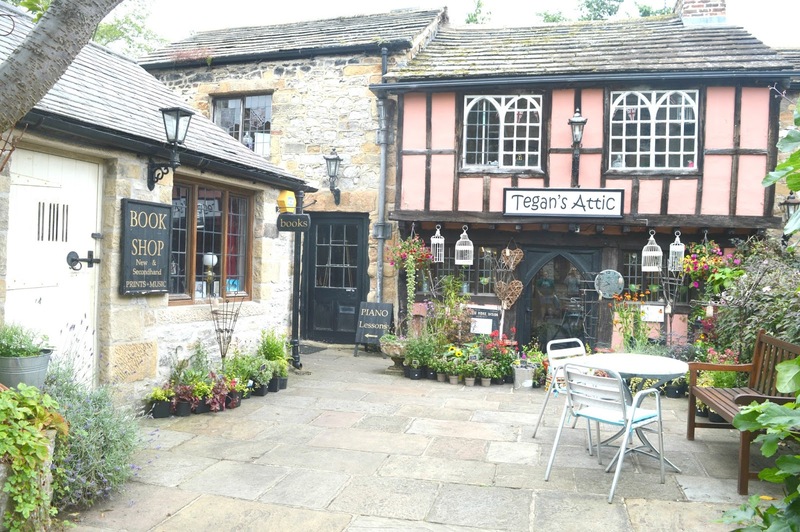 My sister had booked us in for afternoon tea at the Original Bakewell Pudding Shop in the gorgeous village of Bakewell. The service was really awful but provided us great entertainment during our tea and kept us feeling pretty amused for the rest of the weekend. Luckily the food more than made up for the shoddy service and we were presented with mammoth sandwiches stuffed with generous fillings, huge scones and, the most exciting part, traditional Bakewell Pies and Tarts. 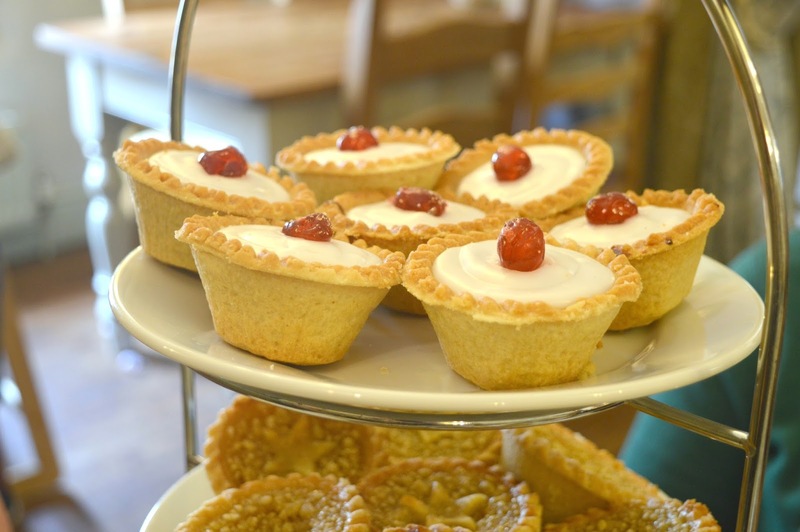 I'm obsessed with Bakewells so getting to eat them in Bakewell was a dream. In no time at all we were feeling completely stuffed and couldn't manage to finish the tea off, we had to head home with paper bags full of our leftover cakes. Arriving back at Cow Hey it was time to get dressed up ready for a night out. It was pretty hard work fitting into our dresses after so much cake but luckily we just about managed it. Before our taxi arrived we had an enthusiastic game of cocktail making where each of my friends made me a cocktail and I had to guess who had made what. I was a little nervous that they were going to make me nasty drinks but it turns out my friends all have great skills when it comes to creating cocktails. Each one was delicious and I loved that so much effort had gone into decoration including fruit, tropical straws and colourful umbrellas. Don't worry I didn't drink them all! Barbarellas, a great restaurant and bar with a very impressive menu full of my favourite food. Unfortunately I was still pretty full from my afternoon tea so had to pick what I could fit in rather than what I really wanted. I was particularly sad when I realised that Chocolate and Cherry Cheesecake was on the menu but that there was no way I'd be able to manage it. I'll definitely have to return. Of course no hen night is complete without cocktails and Lydia had arranged us a table at The Monk Cocktail Bar which was completely up my street. The most quirky little cocktail bar with exposed brickwork and snuggly fairy lights, the barmen were amazing at creating whatever cocktail you fancied. The following day we were feeling a little worse for wear, I'm not sure if it was the amount of sugar we'd consumed the day before or all the cocktails (and Prosecco and wine!) but we managed to drag ourselves up and out to head back to Bakewell for one last potter. 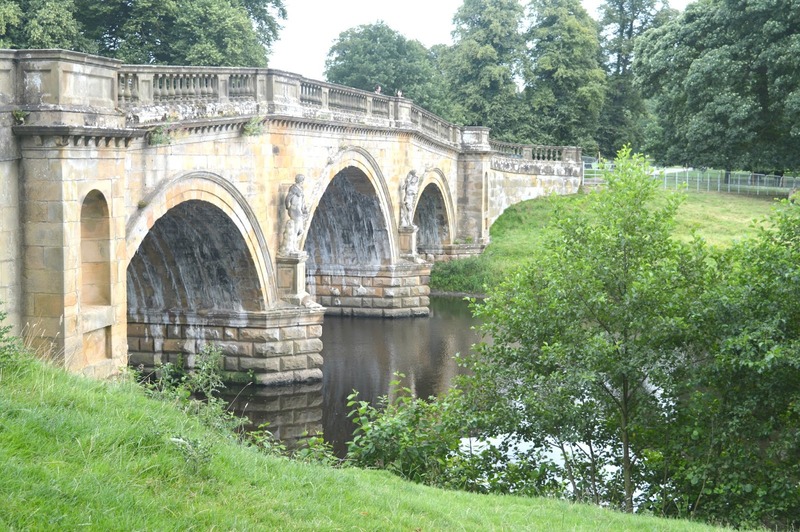 Bakewell is a stunning little place with so many gorgeous streets to explore. I was gutted my tummy was still full as I would have happily done a café crawl. Everywhere I turned there was a cute little tea room or coffee shop. 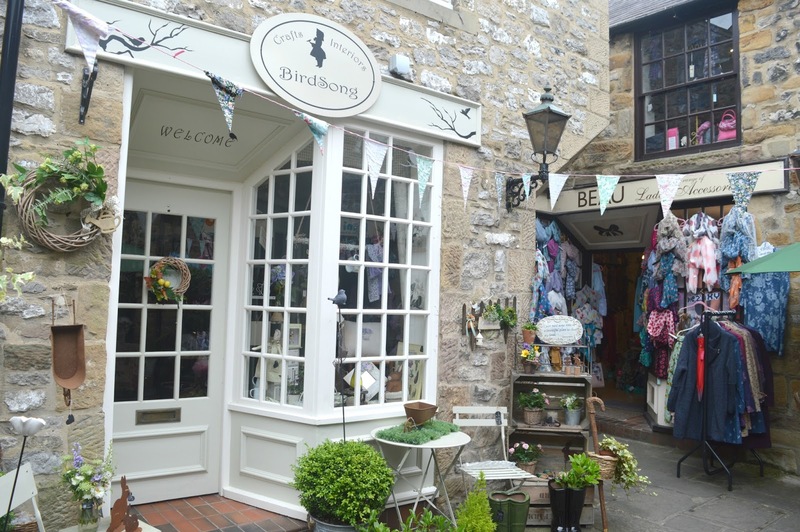 The village was alive with pretty stone buildings, cobbled streets, vintage bunting and colourful flowers. It was a non stop "Blop" for me! 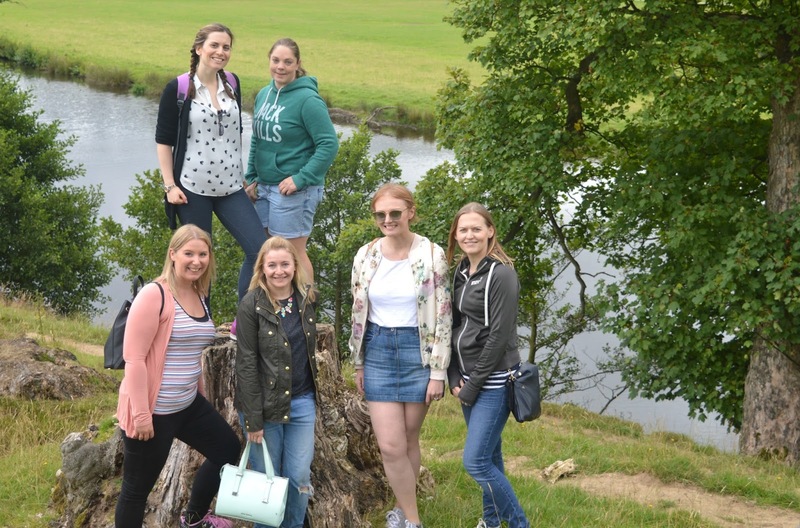 I left the Peak District that afternoon with so many happy memories and so thankful to have so many wonderful friends and sisters that have been so good to me over the years. I hugged each one goodbye and with a "see you at the wedding" I set off towards my train. It's absolutely mad to think that the next time I see some of my favourite ladies I'll be walking down the aisle in a wedding dress! 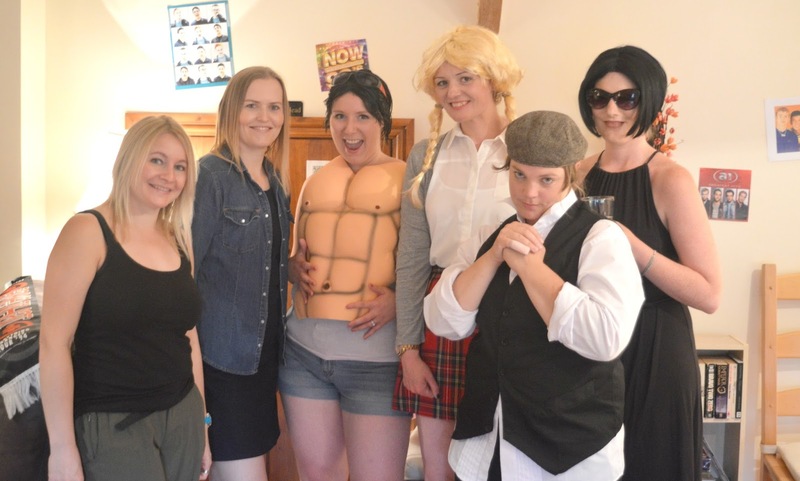 Ah what a perfect hen party - I hope Lydia is bringing Peter Andre to the wedding! haha! Happy hen do!! I love the costumes! Congratulations on 500 posts! 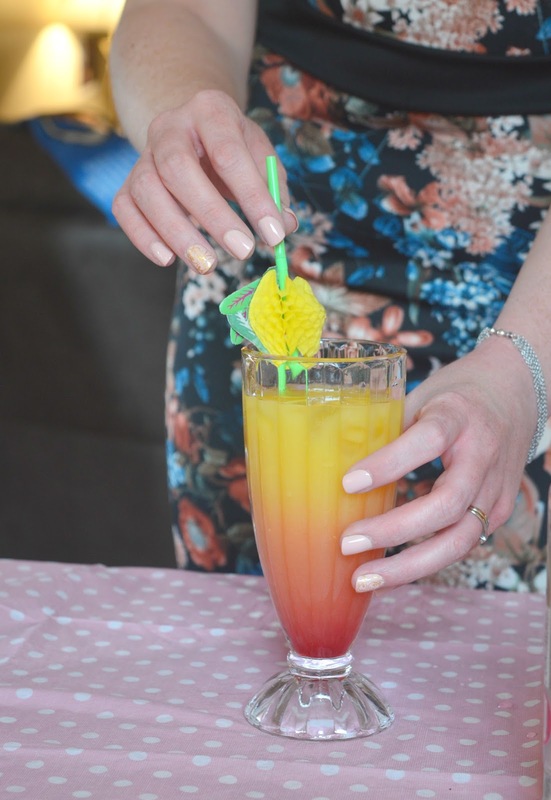 I love this idea for a hen do as something a bit more low-key!